Catheter valves were introduced to the UK in 1986. If you use an indwelling foley catheter then you may interested in this option. 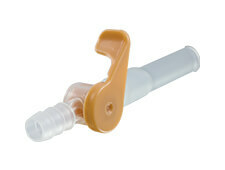 A catheter valve is a small device that acts as a tap which fits directly into your catheter. The valve stops the urine from flowing out until you release it, so your bladder stores the urine instead of a bag. Some people enjoy this if they feel leg bags are too limiting or uncomfortable. You simply open the tap on the valve when you feel your bladder is full, to empty into a toilet or bag. At night, you wouldn’t need to empty it unless you are kept awake by a full bladder. If you do not have regular bladder sensations, you will need to record usage to empty at regular intervals. Flexicare’s Ez-Flow catheter valve has a 2 stage action tap which is easy to operate and reduces the risk of accidental opening. Your catheter valve should be replaced every seven days, just like your cathether, so there’s no extra work involved. When urine is allowed to drain freely into a bag, then the bladder does not need to operate any more. The bladder remains empty at all times and can cause the tip of the catheter balloon to rub against the bladder surface. By using a valve, then the bladder fills so the pressure and friction is relieved. It also ensures that the muscles are in continual use maintaining their strength and functions. Emptying the valve every few hours flushes out your bladder and reduces chances of your catheter blocking. Obviously, a valve is bag-less, which allows you greater freedom when moving and is far less conspicuous. 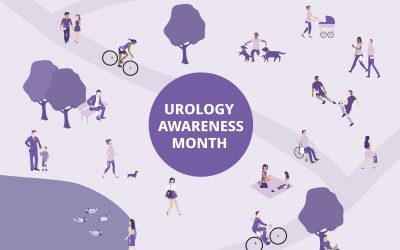 If you have been using a catheter that drains automatically into a bag for over six months, then your bladder capacity may have reduced. This could make the transition to a valve more difficult, but not in all cases. If you have bladder spasms (sudden urge to urinate) then your bladder does not store urine well, which could make a valve less helpful. You can take medicine to reduce spasms to use a valve though. See your doctor for more information. If you find it difficult to use your hands or would forget to open the valve regularly, then a valve might not suit you. You can always use the valve and day/night bags to suit yourself. For instance, use a valve during the day connect to a night bag, or vice versa to suit a more active lifestyle.